Metered parking is available in the front of the building and along Court Street. There is also a parking ramp in the corner of Linn Street and Burlington Street (1st hour is free, $1/hour after that). 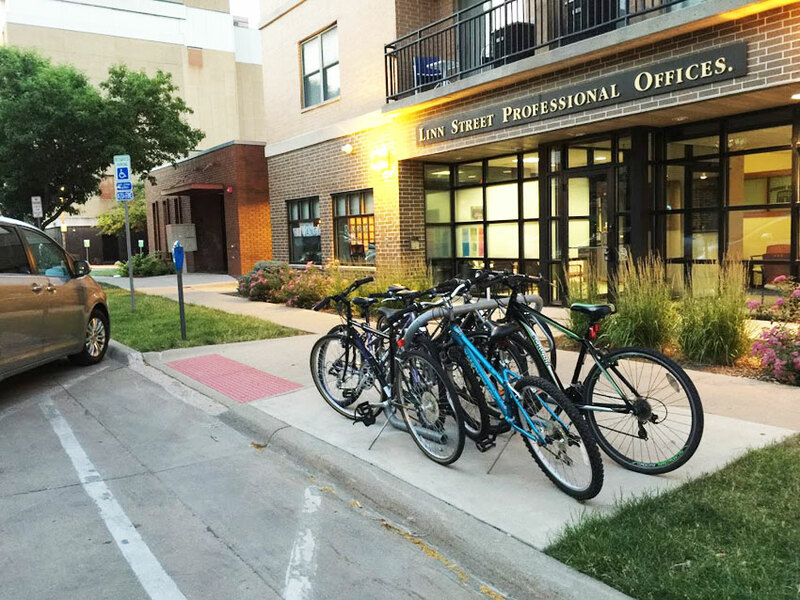 Please use the “Linn Street Professional Offices” entrance. (There is an adjacent larger entrance with the same address but that is for the apartments above.) If the door does not say Professional Offices, go one door to your left (as you face the building). The correct door is right by RVAP. There is a small waiting area to the right as you come in the entrance for professional offices. Please have a seat there. I will come get you at your appointment time. If you arrive a bit late, call or text me to let me know you are here. The door is locked evenings and week-ends. Call or text me when you get there so I can let you in. If I don’t respond right away, it may be that I am finishing up a session with a client.